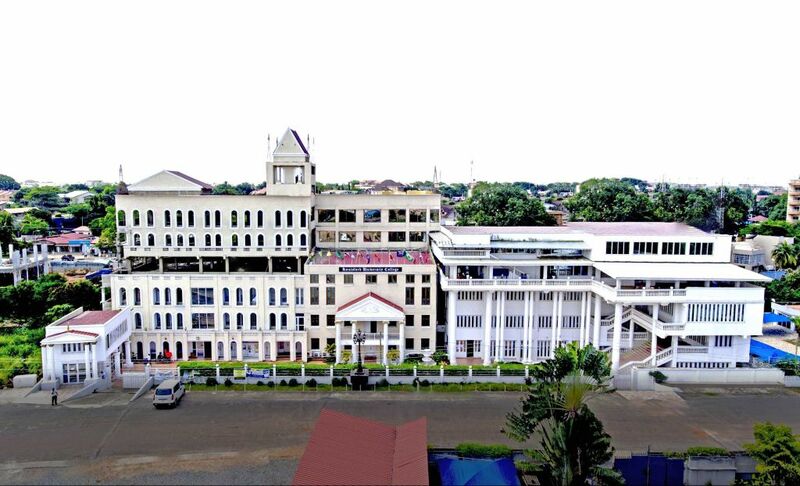 Knutsford University College is a private institution accredited by the National Accreditation Board (NAB) of the Ministry of Education, Science and Sports in the Republic of Ghana. The University College is situated at East Legon in the central part of Accra, the capital of Ghana and it is only 10 minutes drive from the Kotoka International Airport. Knutsford University is exceptional and its mandate is to create, to nurture and to develop permanent foundations for inspiring leadership and scholarship among our students and graduates for their own personal, intellectual and professional development and as a consequence, for national and international development. The university recognises the fact that whilst each person must contribute his or her portion for self, communal, national and global development, leadership is key to a paradigm shift and for fundamental change in every community. With leadership as a vehicle, bad leaders make for bad journeys and for bad destinations. Just as the people perish with ignorance so too do they perish with shortsighted or weak leadership. Naturally then, not every one is a leader and not every programme leads to a successful leadership. Leadership can and must be nurtured from among those with demonstrated potential for same. To ensure creative, active, wise, disciplined and inspiring leadership amongst our students therefore, at Knutsford the subject of great leadership is central to our programmes and is consciously developed as a specific, comprehensive and detailed programme of character building and heroic thinking. To this end, the university’s educational programmes can be summarised as a harmonised synthesis of intellectual, critical, scientific, psychological, philosophical, moral and elevated foundations of personal and professional development. The need for assisting, guiding and inspiring our students to be great leaders of their respective communities is important for many reasons. First of all, it is understood that the rampant myopism, corruption, selfishness, fear, narrow-mindedness and an endless number of avoidable ills among our youths and societies today as a whole, can be attributed in large part to personal and moral failures among a large number of our leaders. Knutsford is keenly aware of the need therefore for educational programmes not only to equip our students with technical tools, but also more liberal perspectives encompassing many fields of endeavors that affect and impact positively on vision, attitude, creativity, balance and excellence. The objective of a Knutsford education then is to ensure that at the end of a programme, graduates would acquire more than academic education or mastery of technical subjects, but would have a more positive attitude not only of themselves but also of the world, of their neighbors and of the possibilities ahead. Knutsford education is designed to assist our students to eschew destructive notions of self, and to embrace attitudes that motivate and enable them to be strong and wise path-finders and as a consequence, become heroes of their homes, communities and nations. In effect then, Knutsford University education is more than a private enterprise for acquiring a job. Education at Knutsford is no less than a personal and collective opportunity for personal growth and national development. Knutsford is governed by a Council of Governors under the chancellorship of Dr. D.A Boateng , and J.K Essel and the chairmanship of the Prof. Paul Noble Buatsi. The current Management Team is led by Prof. Anthony K. Ahiawodzi. The Council is made up of representatives of major stakeholders of the University College community including staff/faculty, students and affiliated institutions. Academic governance is provided by the Academic Board and chaired by the President. Other Boards and Committees exist to complement the work of the Council and the Academic Board. The University runs full programmes throughout the year. Enrollments into the programmes are done in Fall (September) Winder (January), and Summer (May) with flexible study options i.e. day, evening, weekend and online classes. The University College admits all qualified students who possess distinctive academic promise, high sense of professionalism and ethical values without reference to race, ethnicity, religion, politics, and nationality or country of citizenship into its programmes. Knutsford is developing four Schools, eight Departments and two Centres. The Schools are the Knutsford Business School (KBS), the Knutsford School of Humanities and Education (KSHE), the Knutsford School of Science and Technology (KSST) and the Knutsford School of Graduate Studies and Research (KSGSR). The Departments are the Department of Accounting and Finance, the Department of HR and Managerial Sciences, the Department of Marketing, Entrepreneurship and Innovation. Others are the Department of Computer Science and Information Technology, the Department of Nursing, the Department of Economics, Philosophy and Politics, the Department of Psychology and Sociology, and the Department of Communication and Media Studies. The Centres are the Centre for Leadership and Governance (CLG), and the Centre for Language and ICT Support (CLICTS). Scholarship: We believe in educating our students to be more than mere technocrats. The dignity and capacities of the human being are so vast and so great that to reduce the human being to a mere functionary in a labour force or a fraction of a market is to waste potential and to contribute towards the downfall of man. Therefore, at Knutsford, our programmes are well-rounded and do ensure that no student graduates with a narrow focus on his or her field of specialisation. With every specialisation, we ensure broad-mindedness that mirrors the variety and diversity of subjects and of life itself. Professionalism: Professionalism is an attitude and a way of doing things. These two towers of attitude and habit arise from knowledge and from practice. We know that professionalism is not an accident but requires a particular content and sustained orientation. It is not just any attitude but a specific type of orientation that sets the professional apart from others. Accordingly, our programmes include the key elements of discipline, competence, ethics, respect for one’s chosen profession and love for one’s work and more. The effect of these is that right from the beginning, Knutsford graduates acquire the right professional attitudes that make them skilful, pragmatic, creative, entrepreneurial and set to excel in their chosen fields of endeavor. Integrity: At Knutsford we are keenly aware of the fact that even the most complicated systems can be broken by a human being bent on doing so. It is easier to get proper things done when people are motivated by personal and professional integrity to act than movement under the threat of a whip. For, when the whip stops, the good work stops too. For this reason, at Knutsford we do our best to inculcate good personal and professional values in our students and graduates so that they are self-regulated and motivated within themselves to be ethical, professional, responsible, reliable and trustworthy persons. At Knutsford we prepare our students and graduates for success. All our students are prepared for the demands and challenges of the increasingly shrinking but competitive global community. Since our graduates have to be prepared to live in the real world, our programmes mirror and derive from real-cases and situations and are designed to orient students towards holding responsible, managerial and leadership positions in business and in all walks of life. Knutsford graduates are successful persons both academically and professionally. They have acquired and keep acquiring all the appropriate tools for managing their lives and relationships properly in a balanced manner. The skills and attitudes they develop throughout their years with Knutsford are the very things that facilitate growth and positive achievements in life and in business. Produce graduates who are analytical, critical, creative, reflective, problem solvers, disciplined and decision-makers. “Thinkers and Doers” in short. Develop innovators, strategists and entrepreneurs who are receptive to new ideas. Produce graduates with demonstrated competence in social, scientific and market research skills. Produce graduates who are adept at computing, networking and in the use of modern technologies. Train graduates with the ability to work independently whilst following instructions for assignment execution and delivery on time. Train graduates to be cooperative, responsive, productive and professional team members. Train graduates to appreciate diversity and consider issues from global perspective. Produce graduates who possess a great sense of community, moral, ethical and professional responsibility for the services of society and industry. Knutsford recognises the variety of capacities and of learning styles amongst students and of the fact that, some learn best by doing and further, that concrete, real life situations and cases are often better than the abstract. As such, the demonstrative, case-based and critical learning approaches using interactive, with updated textbooks, literature, journals and online materials is our way of learning. At Knutsford, scholarship means asking questions and learning at a measured but comfortable pace. It is true that the university adheres to intellectual discipline and to assignment completion and delivery on time. Yet at the same time, academic requirements must be flexible enough to provide opportunities for individual learning curves and paths. Learning must be disciplined but cannot be rushed. The Knutsford teaching method is therefore, based on respect for the student and of the understanding that learning thrives best when the student is at peace, free and motivated when the teacher is learned, patient and capable of clear demonstrations using real and practical scenarios and examples recognisable by the student. At Knutsford, we do our best to make learning natural and ordinary. Knutsford recognises the vital role lecturers play in our educational process. Consequently, finest international acclaimed faculty with both academic and industry experience are employed and consulted to nurture, mentor and develop our students. Since the best environment for studying is one in which the student has a peace of mind and is free to observe, to read, to think and to ask and answer questions, we do our best to make the campus environs as clear, free, and as enabling as possible. In order to make things easier, the University provides supportive programmes to all students to respond to their demands and needs. Our faculty, teachers, counselors and support staff are always on standby and ready to help students on one-and-one basis to prevent, reduce or manage problems and to deal with issues wisely, quickly and as efficiently as possible. 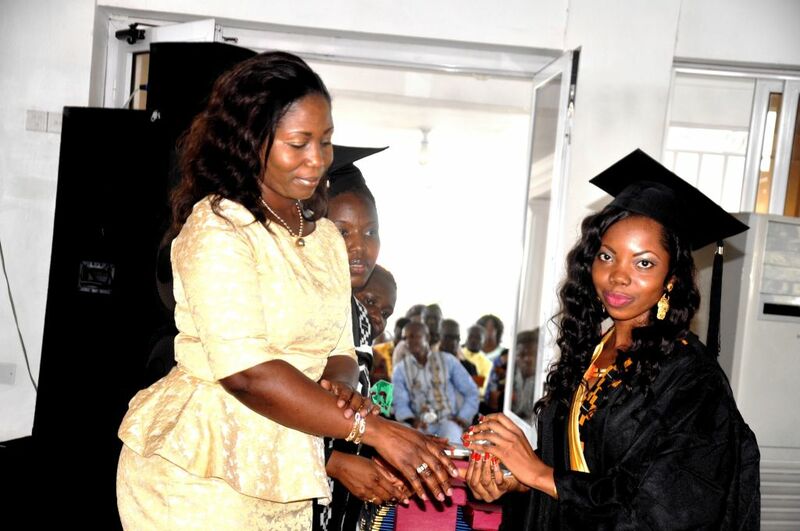 At Knutsford, we endeavor to create a friendly and comfortable environment for success of all of our students. Whilst on Campus or as a student with Knutsford, every student is given the opportunity to know and to link up with all other students in a meaningful manner. The University atmosphere encourages students to see each other as actual or potential neighbours, friends, brothers and sisters and as possible business partners and not just as passengers on a school bus. Remarkably, many students do see the opportunities and the good that can come out of maintaining solid relationships with their mates and alumni. The relationships created amongst students throughout are friendly and scholarly. The expectation is that most relationships would be life-long with each batch of graduates serving as reference, as mentors, coaches, resources and support network for the other. With the passage of time then we expect the network of Knutsford graduates to get bigger, stronger and very rewarding for all of our alumni. Students who successfully graduate from Knutsford programmes are guaranteed placement in many top universities both local and foreign for post-graduate programmes of their choice. This is largely as a result of the excellence of our programmes, the talents of our students and of the fact that our graduates are amongst some of the best young men and women of our time. Furthermore, it is worth noting that amongst other things, the successful Knutsford graduate is disciplined, focused, broad-minded and master of his or her subject of study. Naturally then, the Knutsford graduate is a scholar that can meet the requirements of any academic institution of repute and is much sought after by many. At Knutsford, our approach to education is relevance, pragmatic, modern and professional. As such, throughout their days at Knutsford, our students are given hands-on and updated education from practitioners and leading experts in various fields; combining theory with practice with opportunities for attachment and coaching with our business partners and sponsoring organizations. The result is that by the time they graduate, Knutsford graduates are familiar and comfortable with the business world, and have employable skills, critical thinking skills, entrepreneurial skills, computing and ICT skills as well as good moral conducts. Our programmes build competencies of students chosen fields. Further, Knutsford graduates are provided with the appropriate maps, tools, updates, information and resources for searching, finding and keeping good jobs and for career development. Financial aid is provided ‘as and when’ the aid is available. Students would be informed of all available aid and of the criteria for accessing them. It is the student’s responsibility to apply for such aid. Financial aid provided by the college is strictly for tuition and is not refundable under any circumstance. Students may contact the Students Services Office for details. The following are the types of financial aids currently available to students. Knutsford Scholarship Fund is available for Ghanaian students requiring financial aid. The award is based on financial need, academic merit and achievements. A week is defined in this context as five working days within a semester. A student will not receive any diploma, certificate, or transcript until all accounts, current or otherwise, have been settled in accordance with policies described above. Relevant documents will be retained by the University College as security until financial obligations are satisfied. Each student is also obliged to pay all cost of collections upon default. The University College provides assistance in finding accommodation near the Campus. Currently, Halls/Hostels available for both national and international students are Bani Hall , Evandy Hall, Kingdom International Hostel Ghana . The luxurious Legon Palace Hall has 22 rooms suitable for both national and international students. The elegant Knutsford Guest House located at Adenta Area is most suitable for international students who want to enjoy comfort in Ghanaian style. Space Hostel has 35 luxurious rooms. Other hostels close to the University College include: Prestige Hostel, Veterinary Hostel, Bethel Lodge. Students interested in their own apartment close to the University College could be assisted. Restaurants, cafeteria and snack bar services are available for students on Campus. The University College is also close to a number of restaurants and cafés and shopping malls, all within a walking distance from the University College. These include, A&C Shopping Mall, Accra Mall, Marina Mall, Delish Restaurant, KFC fast Foods and Papaye Fast Foods . Most of the hostels also provides food and shopping services for students. Knutsford provides healthcare services on Campus. The current sickbay will soon be turned to Knutsford Health Services and would be open the public. The University College is also close to a number of large public and private hospitals and laboratories that offer first-class medical care. These include, the University of Ghana Medical Centre, East Yeboah Hospital, 37 Military Hospital, Ghana Canada Medical Centre and Nyaho Hospital. 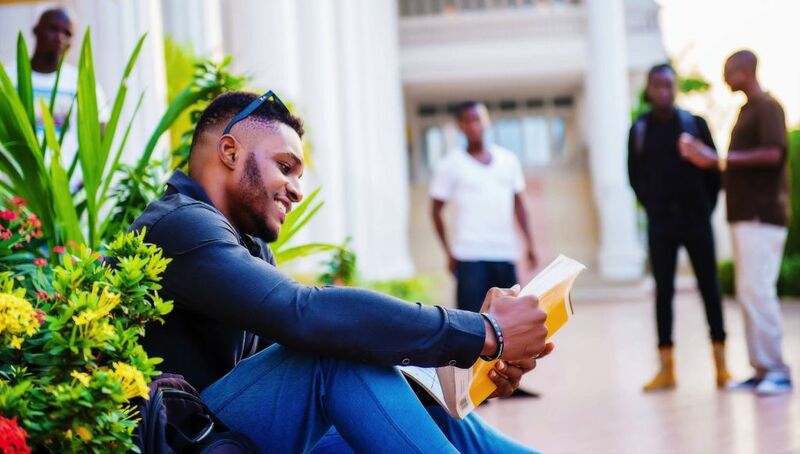 International students are provided with information and counseling on immigration, employment authorisation, tax requirements and other matters related to the students’ non-immigration status in Ghana by the International Students Section of the Student Services Office. Health and accident insurance coverage is mandatory for international students. The Section also provides travel arrangement services including tours. Knutsford University values the important role internship and exchange of faculty and student plays in our education. Consequently, we have and are still working very hard to secure affiliations, collaborations and cooperative arrangements with renowned and international reputable universities, institutions and industry for our faculty and students. Application Forms can be obtained at a fee from the Accounts Office or on-line at this website. Candidates who satisfy the conditions for admission into Knutsford may be offered admission by the Admissions Committee. All successful applicants shall be required to sign an acceptance form and pay the required tuition/fees upon receipt of admission letters not later than 21 days before registration for the semester. The University College reserves the right to ask a candidate who accepts an offer of admission, but later found to have falsified his/her academic credentials, and therefore not qualified to be admitted, to withdraw from the University College notwithstanding the progress made in the course.